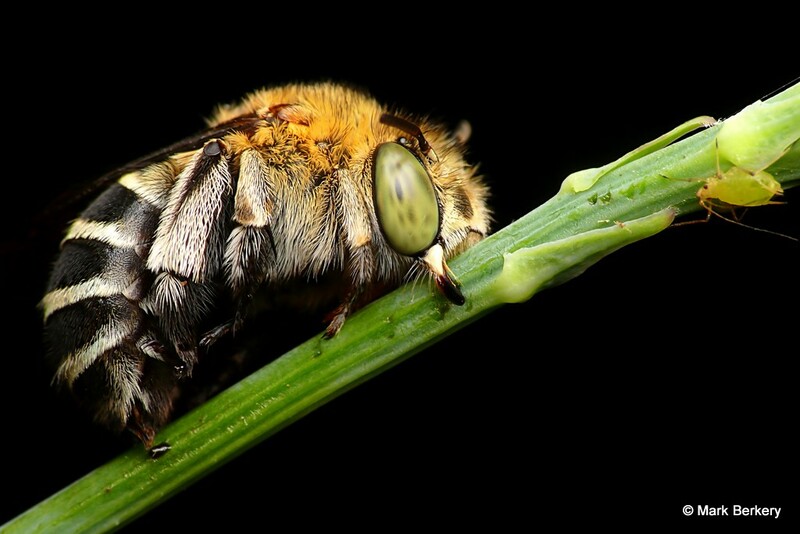 The Bee sleeps and the Aphid may be wary, instinctively so. How else could it be since they are not burdened with thinking or emotion. Wary is not emotion, it is an instinctive response of the body to the sense of danger the presence of an appropriate sized creature represents. Appropriately sized for eating Aphids. Bees don’t eat Aphids but Aphids don’t know it. Shiny green Katydid on the planet Frangipani with pink moon rising behind. Well, it could be a planet to an insect – the Frangipani tree. Didn’t stay still for long but long enough. Always enough even when the result is in the negative – no shot. What isn’t is imagination. 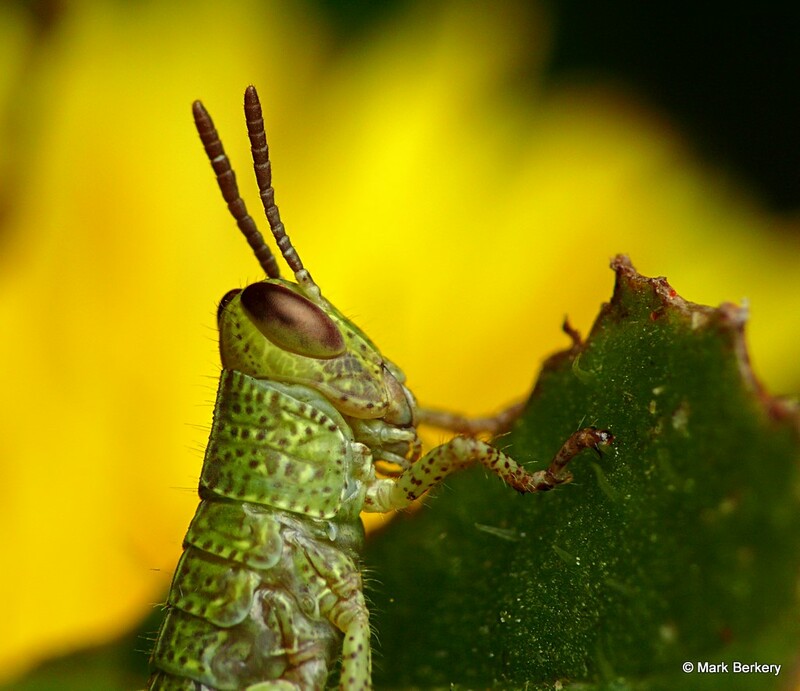 Grasshopper eyeing up the Marigold. They eat the flowers with a hearty appetite, must be the delicate beauty they are imbibing. All in the sense of it and not a thought in the way? The long form of death. Hi Mark, great shots as usual. 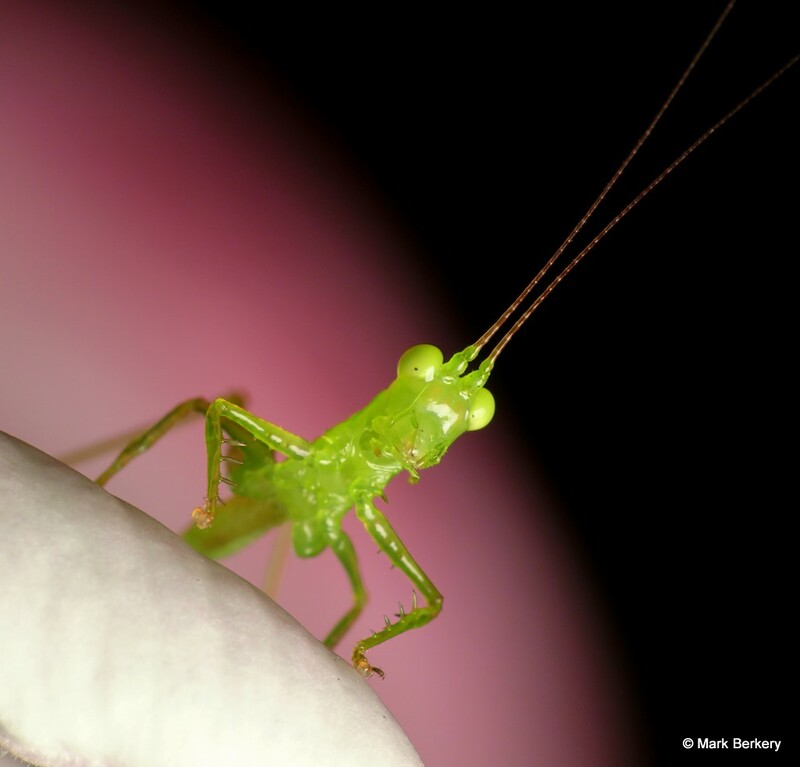 What is the difference between a Katydid and a grasshopper? Hi Craig. One starts with a K and the other with a G? (: Apart from the appearance I don’t know, it’s just one of those names that stuck.